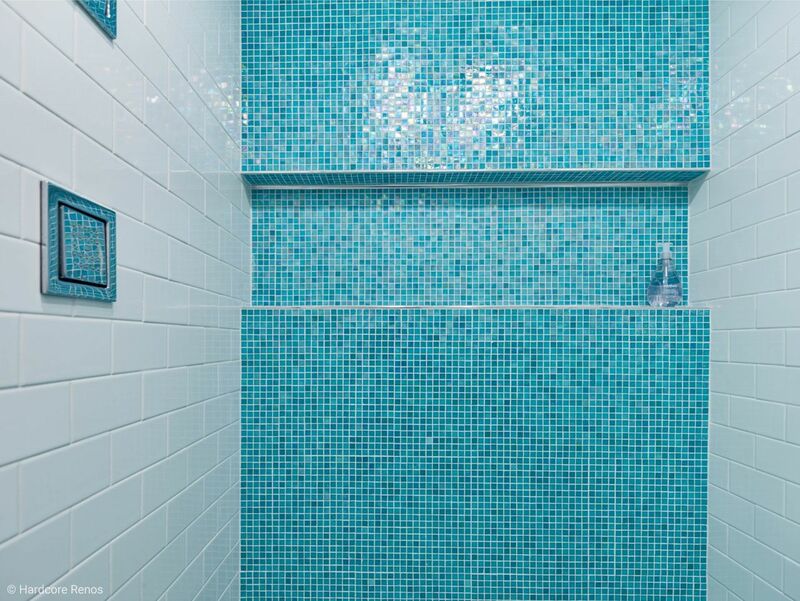 This stunning shower room is a beautiful mix of blue mosaic, crisp-white tile, and a speckled marble sink surround. 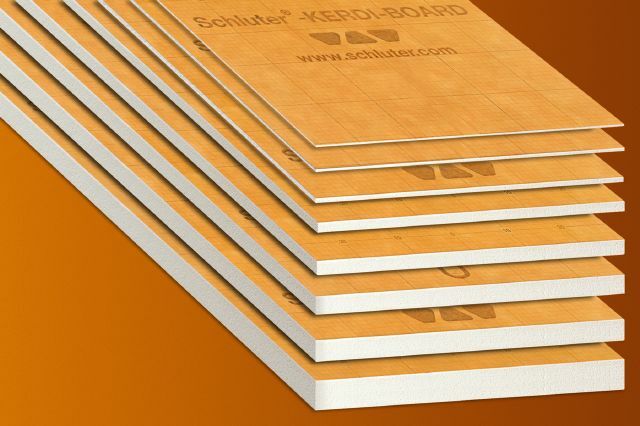 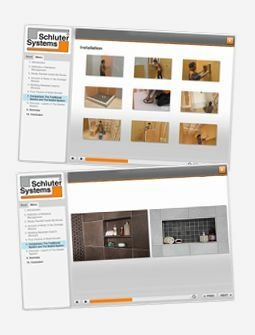 To ensure a flawless installation, KERDI-BOARD is used to waterproof the shower and build the niche, while DITRA-HEAT-DUO protects the floor and creates luxuriously warm tiled floor, for radiant heat for ultimate comfort. 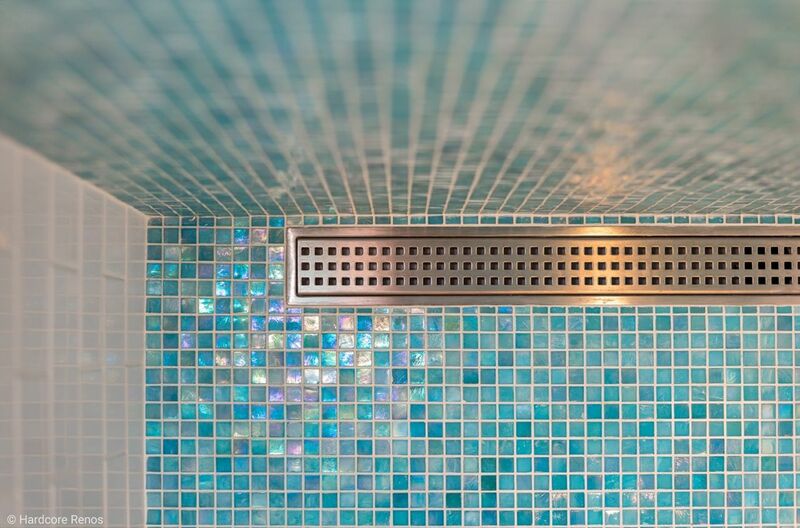 The KERDI-LINE perforated grate complements the iridescent glass-mosaic tile, with its small square cut outs and stainless steel finish. 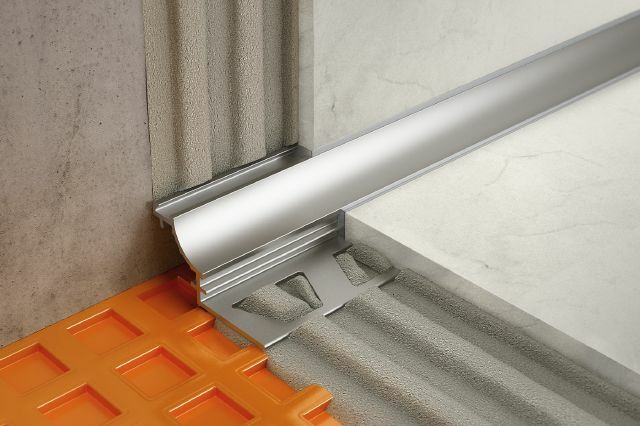 This unique niche is built using KERDI-BOARD for structure, and QUADEC for finishing and protecting the edges. 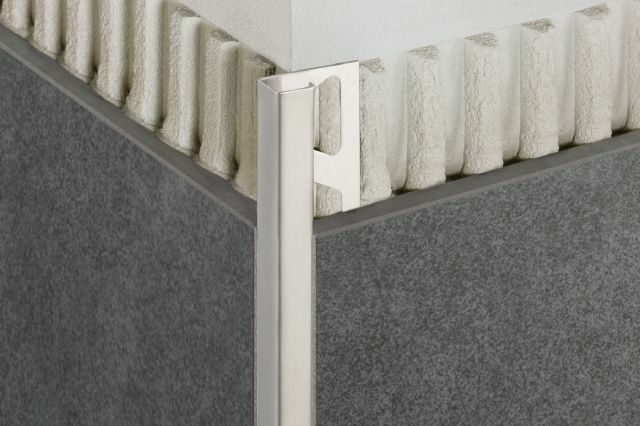 The cove-shaped DILEX-AHK profile featured in the internal corners, eliminates the need for caulking and minimizes dirt accumulation. 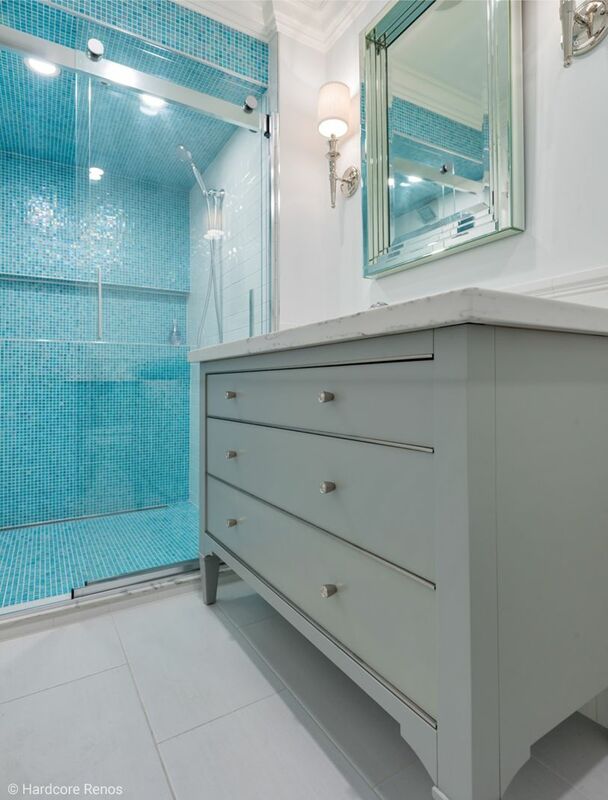 DITRA-HEAT-DUO was used under the floor covering, acting not only as an uncoupling and waterproofing membrane, but also providing floor warming and sound control – the ultimate luxury for the bathroom! 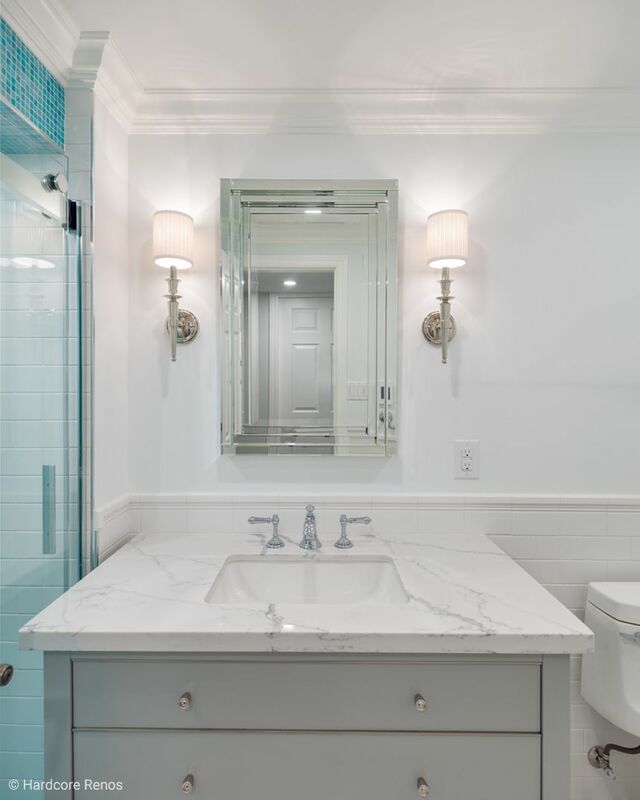 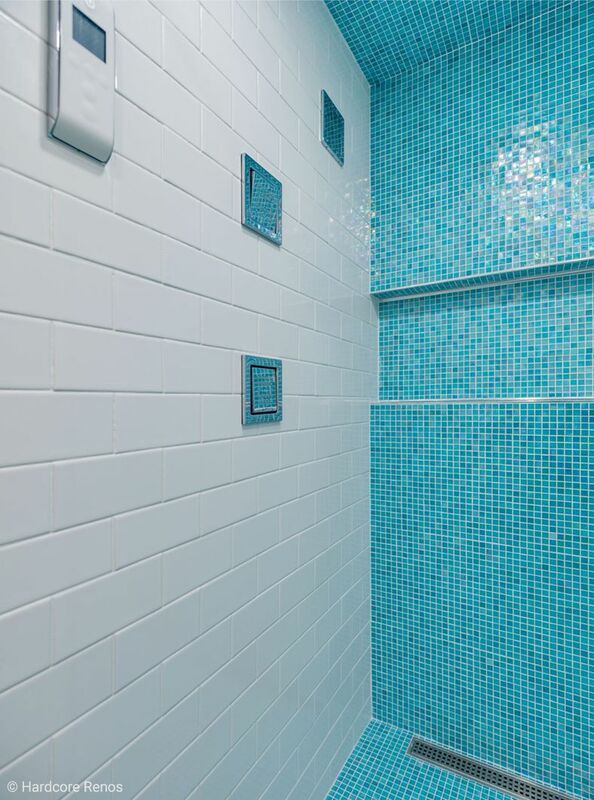 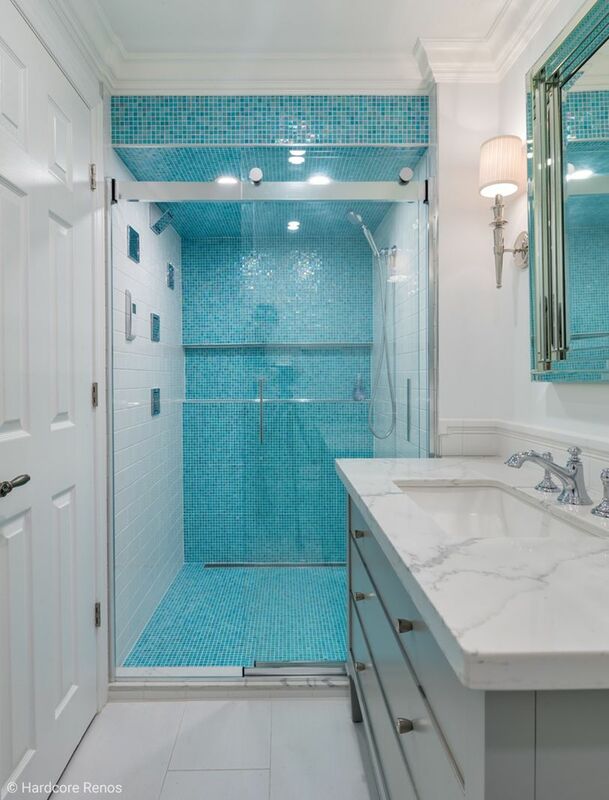 Contemporary chrome finishing touches complement the white and blue tile used throughout the shower room.